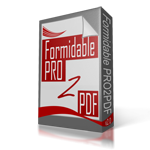 I have Formidable Pro version with Signature ADDON along with Formidable PRO2PDF. The Type it signature appear correctly in the exported PDF but not the signature I puts a code in it, see attached. I have deactivated and deleted all three and reloaded them to no avail. Seems that they are in the Entries of Form PRO but it does not make in into the form with PRO2PDF. Got many hours in this. I have not got to the step where I have published anything to the public. Verify there are no other test, failed, or abandoned field map layouts created for the same form, if there are delete them. Also, verify the “Signature” option is selected on the format dropdown of the field map for the signature field. If the above is confirmed, then complete this form if we can login to the installation to determine the issue, or if not possible, use the same form to upload screenshots of the plugin’s “Export” tab with the field map layout selected and the “Settings” tab, and the “Under the Hood” tab for further review.